Access your California traffic school course anywhere, anytime, and from any device. We just ask that you don't do it while driving. You're also ineligible for traffic school if you've attended within the past 18 months for another approved offense.Other reasons exist that would exclude you from utilizing traffic violator school. You can find those in the California Rules of Court. The specific rule is: rule 4.104.You should consult with a qualified attorney if you were deemed ineligible for traffic school and believe you should be eligible. 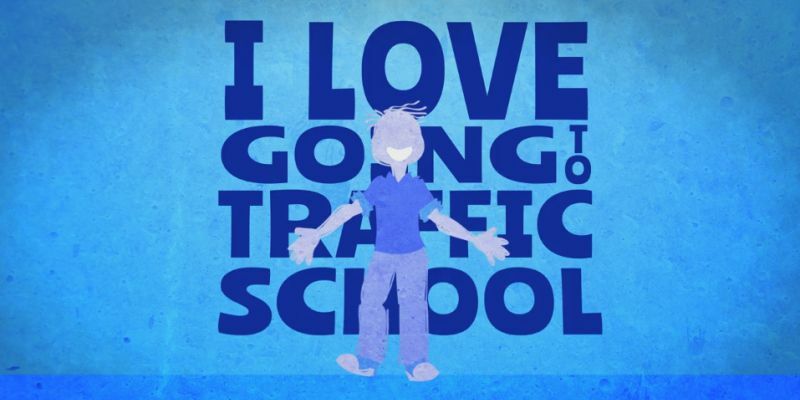 You should never, however, sign up for traffic school without court approval of traffic school attendance ahead of time. If the court allows you the opportunity to attend traffic school, you must complete the course by the court required date as to not receive points on your record for the violation.People with non-commercial driver's licenses will receive confidential convictions on their DMV records, while those with commercial driver's licenses will receive a general conviction both without the corresponding point.You will be required to pay the ticket first, then an administrative fee to the court, as well as the traffic school fee for attendance.You must request permission from the court, by the ticket's due date, if you decide to attend traffic school without first going to court.Once you complete the course, the traffic school will let the DMV know so appropriate action on their end can be taken. CA traffic school can be done online in the comfort of your own home, workplace or on-the-go by cell phone. The course is mostly reading, but there are some educational videos as well as videos for entertainment value only for the student’s viewing pleasure.Once the student completes the course, they are required to take a 25 question, multiple-choice quiz. They must get 18 out of 25 correct to pass the course and have their completion reported to the CA DMV. As long as the student provides the correct citation number, traffic court information and driver license; the student’s traffic court will apply the DMV report to their case, mask the ticket, and the point(s) will not go onto the student/driver's record. Signing up for online traffic school is simple. One can register themselves on a school’s website, or call the school and register over the phone. Approved online schools can be found here. The online course completion is reported to the CA DMV and court electronically by the school. The student doesn’t have to do anything else.Voila! Instant gratification.